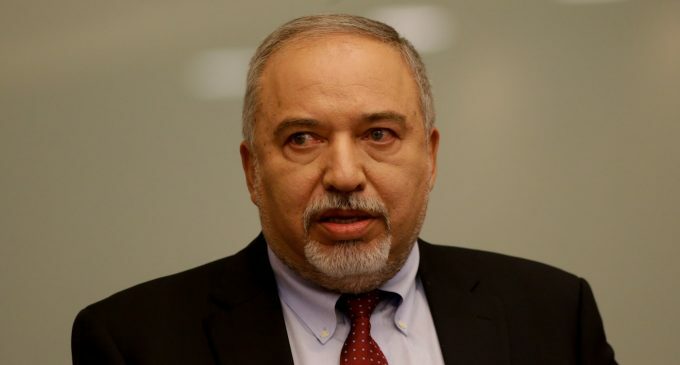 TEL AVIV, ISRAEL – A wave of instability now threatens Israel’s government following the sudden resignation of Defense Minister Avigdor Lieberman on Wednesday. Lieberman announced that he was resigning in protest of a recently brokered ceasefire between Israel and Palestinian resistance movement Hamas, which has governed the Gaza Strip since winning elections in 2007. Israeli Prime Minister Benjamin Netanyahu will serve as interim Defense Minister until an official replacement is appointed. Netanyahu also currently serves as Israel’s Foreign Minister and Health Minister. Following @AvigdorLiberman‘s resignation taking effect in 48 hours, @netanyahu will be prime minister, foreign minister, health minister and defense minister. The still-developing situation will likely result in a rightward shift within the Israeli Knesset or the current ruling coalition, as Netanyahu is set to seek stability following Lieberman’s resignation by either placating right-wing elements unhappy with the ceasefire or by moving forward with snap elections that would likely see more extremist politicians elected to Israel’s legislature as a reaction to the ceasefire and Lieberman’s abrupt resignation. Lieberman also announced that his political party, Yisrael Beytenu, will be withdrawing from Israel’s ruling coalition – which is led by Netanyahu’s Likud Party — in protest of the ceasefire. Residents in southern Israel have also protested the ceasefire, with some Israeli mayors asserting that only “large-scale military operations” are capable of bringing “peace” to Gaza and southern Israel. The recent hostilities between Israel and Gaza began following a covert Israeli military raid on Hamas leadership on Sunday night, which killed seven Palestinians and one Israeli. The raid was followed by a Hamas attack on a bus carrying Israeli soldiers, which injured one Israeli, as well as the launch of an estimated 300 rockets into Israel, though no casualties were reported as a result. Israel’s military responded with heavy airstrikes that targeted densely populated areas of Gaza and razed one of the enclave’s TV stations among other civilian targets. Netanyahu has defended the ceasefire despite pressure from within his own political party and other far-right parties that comprise the current ruling coalition. Speaking in Sde Boker this Wednesday, Netanyahu stated, “At these times leadership is not doing the easy thing, but the right thing, even if it is hard.” He also stated that Hamas had “begged” for a ceasefire after recent Israeli bombings of Gaza targeted several buildings in the Palestinian enclave, which included a TV station and apartment buildings. Notably, Netanyahu hinted that Israel would consider a large-scale offensive targeting Gaza in the future. “We will set the conditions and the right time for Israel, and for the security of our residents” in determining the next military conflict with Gaza, Netanyahu added. Netanyahu’s reluctance for a large-scale military conflict targeting Gaza at this time is likely due to the fact that the Trump administration’s so-called “peace plan” aimed at “resolving” the Israeli-Palestinian conflict is set to be debuted before the year’s end. That “peace plan” — largely the work of Trump’s son-in-law Jared Kushner, who is well known for his fervent support for Zionism and illegal West Bank settlements — is set to provide Israel with the political cushion necessary to fulfill its strategic ambitions. These include Israel’s ambition to annex the occupied West Bank in its entirety and to curb Palestinian demands for the return of Palestinian refugees, actual autonomy for Palestinians living in the occupied territories, and the end of the Israeli military occupation in the West Bank. However, a major war with Gaza would sour Israel’s standing just as the new Israel-centric “peace plan” is set to be revealed. Yet, if the Israeli government waits until the plan is revealed and triggers the protests in Gaza and elsewhere that are all but guaranteed to ensue, a subsequent military operation to quell unrest resulting from the push to implement the Kushner-drafted plan would be easier for Israel to defend on the international stage. While Lieberman’s resignation has been touted by Hamas as a “political victory for Gaza,” his likely successor bodes to be even more hawkish and supportive of the extrajudicial murder of Palestinians. Indeed, Lieberman’s most likely replacement is current Israeli Education Minister Naftali Bennett, who recently threatened to withdraw the political party he leads, Jewish Home, from the Likud-led ruling coalition if he is not appointed as the next defense minister. With Lieberman’s party already withdrawing from Israel’s far-right coalition, Netanyahu will likely capitulate to Bennett’s demands in order to stabilize the current government and avoid dissolving the Knesset and subsequent snap elections. Thus, the current instability facing the Likud-led coalition now seems fated to result in a rightward surge, whether it’s through snap elections or through Netanyahu-led efforts to placate other right-wing parties and prevent them from defecting. Prime Minister Netanyahu should appoint Minister Bennett as defense minister and this government can continue to function. I think there is an advantage in stability, of course assuming that Bennett will bring security policy to a much better place. Over the past year, Bennett has repeatedly accused Lieberman of showing “restraint and weakness” as defense minister, especially in relation to his approach to Gaza’s Great Return March. Accusing Lieberman of “weakness” is particularly shocking given that the Israeli military under Lieberman repeatedly used lethal force to quell protests in Gaza, killing over 200 unarmed Palestinians – including children, medics and journalists – and wounding over 22,000. In addition, Bennett has frequently called to “loosen” the Israeli military’s rules of engagement that would allow Israeli soldiers to target unarmed Palestinian children with lethal force. This past July, Bennett called for Israeli warplanes to drop bombs on the heads of Palestinian children who flew crude, homemade incendiary kites into Israel with Bennett stressing that “there is no legal impediment” for targeting children with lethal force. Thus, if Bennett is appointed as Lieberman’s replacement, it becomes near impossible to argue that Lieberman’s resignation is a “political victory” for Gazans. Instead, the high probability of a Bennett-led Defense Ministry would unleash a new, even more brutal wave of extrajudicial murders of unarmed Palestinians, one that would deliberately target children. Furthermore, given that Netanyahu’s recent hints that the current ceasefire is meant only to delay Israel’s next war with Gaza until such a conflict is more politically expedient for Israel, Bennett’s likely ascent to the role of Defense Minister would herald an even more disastrous war for Gazan civilians than one overseen by Lieberman. The post Israeli Defense Minister’s Resignation not a “Victory” for Gaza but a Warning that the Worst is to Come appeared first on MintPress News.